A short sale is a sale of property from which the proceeds from the sale do not cover the balance owed. Lenders agree to accept a discounted payoff and allow the sale to close escrow, most often in full satisfaction of the debt. Based on our years of experience, we have found a short sale, IF properly executed, to be the most effective way to successfully avoid foreclosure. When allowing the foreclosure to occur, you lose all control and are basically letting the lender take control of your life and financial future. On the other hand, when you proactively move ahead with short selling your home, you keep some control and continue to remain a part of the equation. If successful, the impact to you and your family will be minimized upon completion of a successful short sale transaction. Read below to view an array of accurate short sale related information about short sales. Keep in mind, it costs you nothing to short sale your home and in MOST cases it really is the best solution. A short sale can minimize damaging impact to your credit as well as financial exposure and personal liability. A foreclosure can remain on your credit report for up to seven years but a short sale is usually reported as a “settled debt” & is less damaging. After a short sale the homeowner will be able to get into a new home sooner than after a foreclosure. Depending on the circumstances, the lender may prefer a short sale because they will ultimately take a larger financial hit if they foreclose. 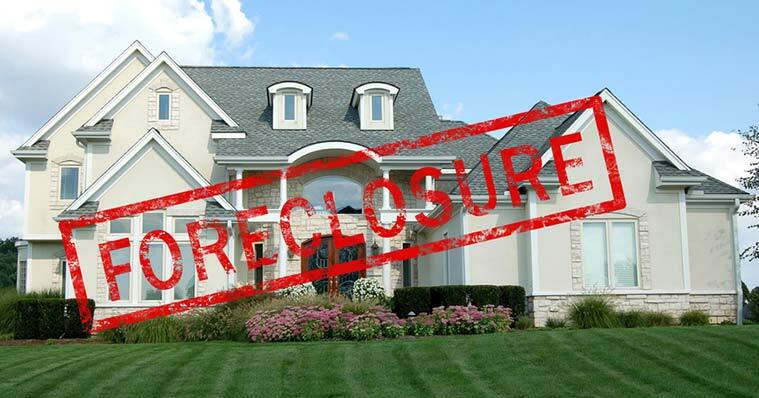 Foreclosing and repossessing the property, all involve legal costs as well other associated costs involved in a foreclosure. Many times, the lender will then go after the homeowner for the difference in what it cost them to foreclose and sell the property and the outstanding amount of the loan. This can be avoided with most short sales but it’s critical the homeowner use an experienced and certified real estate professional. Assuming you have already determined saving your home is not a viable option and foreclosure is eminent, it's time for a short sale. Here are a few the tasks to get started. First, it's critical to get the short sale process started quickly. If you wait too long, it'll be too late. Your home must go on the market as quickly as possible. You will need an EXPERIENCED Realtor that is also a Certified Distressed Property Expert and Short Sale EXPERT with a proven track record. This is CRITICAL! VERIFY your agent is also an experienced bank negotiator or that he or she hires an experienced professional to negotiate with your lender on your behalf! Have you received a Notice of Default? You'll need a copy for your agent. FYI, if you already received a Notice of Sale, it's probably too late. You'll need to know exactly what you own on all loans secured by your property. Your short sale expert will need to determine the difference between the current market value of your home and the amount you owe on all secured loans? You will need to prove hardship and put it in writing. This might include medical expenses, job loss, pay cut, reduction in hours worked, etc. Your agent can give you a sample letter. You'll need to provide proof of income and expenses. Start gathering your records. There's more, but if you have chosen the right agent, they will provide you with a list. Keep reading below to find out more about the Short Sale Process. Are all Short Sales are Successful? We've experienced a great deal of success representing homeowners to short sale homes. We’re certainly not trying to discourage anyone from a short sale, but as responsible short sale experts we must be completely honest. If you are short selling your home perhaps the most important advice we can offer is, all parties involved must remain patient and persistent. The most important advice we can give is, start the short sale process quickly. The longer you wait the less chance for success! If you have already received a sale date, it's probably too late. The factor which we have the least amount of control, but has killed many short sales is the BPO or, Broker Price Opinion. As part of the short sale process the lender will send an independent broker to your property to do their own valuation and determine the present market value. Often the person doing the valuation is not familiar with the community and provides the lender with an inaccurate appraisal. There are some proactive steps the homeowner and agent can take, but once done, it’s up to the lender! We’ve seen short sale transactions fail due to an incorrect and high BPO. By law, any licensed real estate agent can represent you to short sale your home. That's a BIG problem. If your agent does not have the experience or training to deal with these difficult and complex transactions it's quite possible your short sale will fail! This is very important. We've seen many short sale fail because the person doing the negotiating with your lender were NOT qualified. It's ALWAYS best to use a negotiator with a background in the banking or lending business. By the way, lawyers don’t always make the best negotiators! Discover viable options and solutions to avoid foreclosure. Why would your lender agree to a short sale? ExtremeShortSale consists of a network of short sale experts, all specially trained Realtors® AND Certified Distressed Property Experts. We are NOT attorneys or accountants.